As the leader of Howd & Ludorf, LLC’s municipal practice group, Thomas R. Gerarde appears in state and federal courts throughout Connecticut, including both state and federal appellate courts, representing public officials, law enforcement officers, boards of education, land use commissions, firefighters, emergency response personnel, and all other municipal employees. 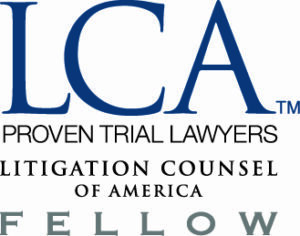 Tom defends general and professional liability claims, including negligence, nuisance, highway defect, environmental, and all civil rights claims, including claims brought pursuant to 42 U.S.C 1983, Fair Housing Act, Americans with Disabilities Act, Section 504 Rehabilitation Act, the Individuals With Disabilities Education Act, RLUIPA, and others. Tom’s extensive experience representing public entities at trial to verdict in state and federal court, and on appeal before the Connecticut Appellate Court, the Connecticut Supreme Court and the United States Court of Appeals for the Second Circuit is detailed below. Estate of Foster v. Branford: This suit stemmed from a police pursuit of an intoxicated driver. The driver went through a red light and struck the plaintiffs vehicle broadside, killing one occupant and leaving the other with a traumatic brain injury. Town of Branford and its police supervisors were cleared at summary judgment based on governmental immunity, and the negligence claim against the pursuing officer proceeded to trial. The case was heard at the Waterbury Complex Litigation Docket, and the jury returned a defendants verdict. Malloy v. Colchester: This suit stemmed from the plaintiffs car striking a roaming horse, rendering the plaintiff quadriplegic. Plaintiff sued the Town of Colchester and its animal control officer, who had received several prior complaints about the roaming horse but did not take significant enforcement action including seizure of the horse. This suit was tried to a jury in Norwich Superior Court and resulted in a directed defense verdict. Dingwall v. Old Saybrook Police Department: This suit stemmed from the arrest of the plaintiff for a domestic violence crime. Plaintiff was held at the Old Saybrook police department and claims he was improperly interrogated and denied his access to counsel. His civil rights/due process claim, was tried to a jury at U.S. District Court in Hartford to a defendant’s verdict. Pryor v. Officer William Proulx: This suit stemmed from the traffic stop of the plaintiff by East Hartford police officer William Proulx. During the stop narcotics were found in the back seat and the plaintiff was arrested. Plaintiff brought a civil rights claim for illegal search and seizure. This was tried before a jury in to a U.S. District Court in Hartford to a defendant’s verdict. Coleman v. City of Bristol: This suit stemmed from the SWAT response to the plaintiffs home after a neighbor called 911 and stated a man in fatigues was shooting an assault weapon in the rear yard. The man was a friend of the plaintiff who was actually shooting frozen paint balls from a paint ball gun. Plaintiff was ordered out of the home by the SWAT team in full dress and was briefly detained. He was not arrested but claimed emotional distress as a result of his being ordered out of his home at gunpoint and forced to the ground. Plaintiff’s unlawful detention/excessive force claim was heard by a jury at New Britain Superior Court, which returned a defendants verdict. Hall v. Town of Mansfield: This suit stemmed from the search of plaintiffs farm property on suspicion that plaintiff had illegally buried hazardous materials and oil tanks in various locations. Plaintiffs civil rights/unreasonable search claim was heard by a jury in U.S. District Court, New Haven, which returned a defendants verdict. Estate of Cooper v. Michael Breen (North Branford Police Department): This suit stemmed from the fatal shooting of a fleeing motorist by Branford Police Officer Michael Breen. The estate filed a wrongful death civil rights claim, which was bifurcated by the trial court. The jury returned a plaintiffs verdict on the 4th Amendment claim and the matter settled as the court was considering the qualified immunity issue. Queach Corporation v. Town of Branford: This suit stemmed from a claim by the plaintiff development company that the Town of Branford reneged on a land swap deal, which prevented the plaintiff from building a golf course and residential community, and caused $5,000,000 in losses. This breach of contract claim was tried to a jury in New Haven Superior Court to a defendant’s verdict. Sutera v. City of Norwich: This suit stemmed from the fall on an icy road by the plaintiff, at the end of a snowstorm. Plaintiff brought a defective highway claim against the City of Norwich. The case was tried to a jury in New London Superior Court to a defendant’s verdict. Tsombanidis v. West Haven Fire Department: This suit stemmed from the refusal by the West Haven Fire Department to waive fire code requirements for a drug/alcohol recovery home. Plaintiffs filed a civil rights claim under the Fair Housing Act. The case was tried to the court, at U.S. District Court, Waterbury. The District Court found the plaintiff proved a disparate impact claim, but the U.S. Court of Appeals for the 2d Circuit reversed, and entered judgment for the defendant Fire District. First Step v. City of New London: This suit stemmed from the refusal by the City of New London to grant a special permit to the plaintiff, which intended to operate a transition facility serving persons with psychiatric disabilities. Plaintiff sued under the Americans with Disabilities Act. The case was tried to the U.S. District Court, Bridgeport. The court entered judgment for the plaintiff, and the matter settled on appeal. Avalonbay Communities v. Town of Orange: This suit stemmed from the denial by the Town of Orange of a permit to a developer that planned to build a large-scale affordable housing project. The Town sought to condemn the property for use as an office and technology park. Plaintiff brought suit under the Federal Fair Housing Act violation, and for bad faith condemnation. The case was tried to the court in New Haven Superior Court; judgment for defendant on Fair Housing Act claim, but condemnation of subject property enjoined. Gold Diggers, LLC v. Town of Berlin: This suit stemmed from the challenge of the Town of Berlins Sexually Oriented Business Ordinance by a live adult entertainment facility on First Amendment grounds. The case was tried to the court in U.S. District Court in Bridgeport, which entered judgment for the defendant. Nikiel v. Town of Wethersfield: This suit stemmed from a fall down in a pot hole by plaintiff while walking on a town road. Plaintiff brought suit under the Defective Highway Act. The jury returned a defendant’s verdict. Herasimovich v. Town of Wallingford: In this suit, plaintiff claimed the Town of Wallingford overburdened a 1955 drainage easement, which authorized the Town to drain storm water onto plaintiffs’ land, when it allowed new subdivisions to drain their storm water into the easement. Plaintiff also sued on nuisance and takings theories. The matter was tried to the court, which rendered a judgment for the defendant on all counts. Edgerton v. Town of Clinton: Plaintiff was a passenger in a car that fled the scene of a motor vehicle accident. The victim of that accident followed the plaintiff’s car and called in the plate to the Clinton Police dispatcher. The dispatcher determined the owner of the fleeing vehicle while the hit and run victim continued to pursue the hit and run driver. The fleeing vehicle thereafter left the road at a high rate of speed, striking a tree and causing serious injury to the plaintiff. The Plaintiff sued the Clinton dispatcher for negligent failure to order the hit and run victim to stop pursuing the fleeing vehicle. The defendant raised an immunity defense based on the acts of a police dispatcher being discretionary. The jury returned a verdict for the plaintiff, however, the verdict was overturned by the Connecticut Supreme Court, which held the Dispatcher was entitled to governmental immunity. Grant v. Town of Branford: Plaintiff was a truck operator who entered a four way intersection in Branford with a green light. At the same time, Branford Police Sgt. Gary Verni was responding to a domestic stabbing incident in a marked police cruiser with overhead lights and siren activated. Sgt. Verni entered the same intersection as Plaintiff Grant against a red light, from Grants left side, after stopping and creeping forward. Other motorists who were approaching the intersection stopped in response to Sgt. Vernis lights and siren, but Grant continued through and the Grant and Verni vehicles collided in the middle of the intersection. Grant sued for negligence, given that Sgt. Verni had entered the intersection against a red light. The defense argued that Grants injuries were caused by his own negligence for not yielding to an emergency vehicle. The jury returned a verdict for the defendant. Harris v. O’Hare, et al. Harris v. O’Hare, et al. : Two City of Hartford Police detectives, acting on a tip regarding the whereabouts of illegal handguns, entered the plaintiff’s property, only to be confronted by a large dog that charged at them. They ran, but could not escape the dog, and faced a threat of imminent harm. One detective fired his weapon three times as the dog lunged at him, killing the dog. The Detectives were sued in U.S. District Court for a claimed violation of civil rights protected by the 4th and 14th Amendments to the U.S. Constitution, based on an illegal entry of the property, an illegal seizure of the dog, and a due process violation. The eight person returned a unanimous verdict for the Defendants. The verdict was overturned by the U.S. Court of Appeals which held that the officers’ entry onto the Plaintiffs property required a warrant and the exigent circumstances exception to the warrant requirement did not apply. The case was sent back for a hearing in damages on the entry issue and was retried on the use of deadly force on the Plaintiffs’ dog. The jury again returned a verdict for the defendant officers on the use of force issue and assigned damages for the warrantless entry. Nikides v. Town of Wethersfield: Plaintiff tripped and fell on a badly cracked sidewalk in the Town of Wethersfield, near a railroad crossing. Aerial photographs indicated the crack had existed for at least 2 years without having been addressed by the Town. Plaintiff went to step over the crack but lost her balance when she put her foot down on the opposite side of the crack, resulting in a rotator cuff injury necessitating surgery. The defense argued that despite the fact that the defect in the sidewalk was significant, and had existed for some time, the plaintiff could have been more careful as she stepped over it – or could have safely walked around it. The jury returned a verdict for the plaintiff, and the case settled while on appeal. Arrigoni Enterprises, LLC v. Town of Durham: This was a federal Equal Protection claim tried in the U.S. District Court in Hartford. Plaintiff, a land developer, sought to build 3 industrial buildings in the Towns Design Development District. Because of the high rock content of the plaintiff’s land it would have been necessary to blast, crush and remove 75,000 cubic yards of bedrock to make a suitable building space for the project. The Town of Durham Zoning commission denied Arrigonis permit request based on the impact of the intense site development on the nearby landowners, which would have included 2-3 years of noise and dust from a rock crushing machine, and thousands of dump truck trips past single family homes. Arrigoni claimed a violation of the Equal Protection clause to the 14th Amendment to the U.S. Constitution, given that the Town had allowed a property owner on the opposite side of the same road to develop a smaller 1 building project, and sought $2,000,000 in damages. The defense argued that the plaintiff could not meet the high standard for a constitutional equal protection violation– that the situation of the comparator project be prima facie identical to the Plaintiffs; and, in any event, the Zoning Commission had a rational basis for any different treatment, sufficient to defeat an equal protection claim. The 12 member jury returned a unanimous verdict for the Defendant Town after 3 hours of deliberation. Marchand v. Simonson: Plaintiff sued Willimantic Police Officer Eric Simonson, after being tased as he attempted to enter his home. Officer Simonson encountered Plaintiff acting in an unstable manner while in the road, and Plaintiff refused to identify himself, or otherwise indicate he was in front of his own home. He swore at the Officer, and fought with him as he attempted to move toward the door of the home. After Plaintiff banged on the door and an elderly woman answered, Plaintiff was warned several times not to enter the home or else he will be tased. Plaintiff ignored the order and was tased as he began to cross the threshold of the door. Officer Simonson used his taser a second time after Marchand ignored orders to remain on the ground. Marchand was handcuffed and arrested. He thereafter sued for civil rights violation claiming the force used on him was excessive and violated the Fourth Amendment. The case was tried in U. S. District Court in New Haven. The jury returned a verdict for the Defendant Officer Simonson after three hours of deliberation. Smith v. Town of Redding: Plaintiff suffered a traumatic brain injury from an unfenced retaining wall and sued the Town for nuisance, claiming $3M in damages. The Town responded that the wall was not inherently dangerous given that it met applicable building codes and an alternative to a protective fence was installed at the top of a nearby embankment. Suit was brought in State Superior court in Bridgeport. The jury returned a verdict for the defendant Town. Fisk v. Town of Redding: Plaintiff jumped from an unfenced retaining wall (same wall as Smith trial, above) and suffered a severe leg fracture, resulting in permanent disability. Plaintiff sued the Town for nuisance, and the Town responded that the wall was not inherently dangerous, and was a reasonable use of the land given that it met applicable building codes and an alternative to a protective fence was installed at the top of a nearby embankment. Suit was brought in State Superior court in Bridgeport. The jury returned a verdict for the defendant Town. ACE Partners v. Town of East Hartford, 883 F.3d 190 (2d Cir 2018): In ACE, the East Hartford Chief of Police declined to renew the precious metals license of Ace, after learning ACE was the subject of a State Police sting operation, resulting in arrests for dealing in stolen merchandise. ACE brought suit, claiming that Connecticut’s precious metals statute provided ACE with an entitlement to a license. The District Court agreed, holding that the Town could only refuse a license to a convicted felon and entered judgment in favor of ACE. The 2d Circuit Court of Appeals has now reversed, holding that the District court misinterpreted the provision regarding felony convictions. The Court of Appeals explained that the statute provided a chief of police with discretion to grant or deny a precious metals permit—except that in no circumstance can the Chief of Police exercise that discretion to give a license to a convicted felon. The Court of Appeals reversed the judgment in favor of ACE, and entered judgment for the Town, and further ordered that the case be dismissed. Brooks v. Powers, 328 Conn. 256 (2018): In Brooks, a citizen notified Westbrook police officer Robert Powers of an elderly woman in a field who was unprotected in a driving rainstorm. The citizen related that the woman needed help. Officer Powers had an assignment at the Town Marina so he called the state police dispatcher and asked if there was another officer who could be dispatched. The dispatcher indicated she would dispatch another officer but neglected to do so. The woman was found the next morning drowned in Long Island sound about ½ mile away from the field she was in the previous night. The woman’s estate sued Officer Powers arguing that he was negligent for not responding immediately to the woman in field when he was notified by the citizen. Officer Powers moved for summary judgment based on governmental immunity, arguing that his decision whether to respond himself or ask dispatch to send another was discretionary—and the identifiable person/imminent harm exception did not apply because Officer Powers reasonable believed that another officer was on the way to see the woman in the field. The trial court granted summary judgment, but the Connecticut Appellate Court reversed—holding that an issue of fact existed regarding whether the Plaintiff was identifiable to Powers as being at risk of imminent harm. The Supreme Court then reversed the Appellate Court, holding that the presence of the woman in the field in the rain, while unusual, did not qualify as an apparent imminent harm sufficient to trigger the exception to immunity. In addition the potential for this woman to drown in Long Island Sound ½ mile away was not in the realm of what would be apparent to an officer who heard she was in the filed in the rain. The Supreme court held that governmental immunity barred the Plaintiffs claim and entered judgment for the Defendants. -a plaintiff must bring all claims which it seeks to pursue regarding a single set of facts in one suit. Once a decision on the merits occurs, any claim which might have been brought in the original suit is deemed to be merged into that judgment and cannot be pursued in a subsequent lawsuit. Northrup v. Town of Naugatuck, 175 Conn. App. 223 (2017): Plaintiff sued the Town after repeated storm water flooding of her property. Trial court granted summary judgment based on governmental immunity, finding that inspection and maintenance of storm water drains is discretionary. Connecticut Appellate Court affirmed. St. Pierre v. Town of Plainfield, 326 Conn. 420 (2017): Plaintiff sued for personal injuries after slipping on wet stairs at the Town indoor pool. Town won summary judgment based on governmental immunity. Plaintiff claimed that the fee he paid to use the pool prevented the Town from claiming immunity, but the Supreme Court held that a modest fee charged to defray the provision of a public service does not eliminate a Town’s governmental immunity. Stones Trail v. Town of Weston, 174 Conn App. 715 (2017): Court dismissed Plaintiffs case for unconstitutional taking, and violation of equal protection as unripe, based on the Plaintiff’s failure to obtain a final decision from the town’s zoning commission prior to proceeding with federal civil rights claims. The Connecticut appellate Court upheld the dismissal. The Connecticut Supreme Court denied certification. Coderre v. Town of Wallingford, 668 Fed. Appx. 399 (2d Cir 2016): Plaintiff sued Wallingford Police Department for wrongful arrest. Court entered summary judgment based on finding of probable cause for the Plaintiff’s arrest and Court of appeals affirmed. Brooks v. Powers, 165 Conn App. 44 (2016): Trial court granted summary judgment to Westbrook police officers based on governmental immunity where police officers did not respond to person potentially in need of help. Appellate Court reversed, based on issue of fact regarding the identifiable victim exception to immunity. Connecticut Supreme court has granted certification and will hear oral argument in fall 2017. Dimiceli v. Town of Cheshire, 162 Conn. App. 216 (2016): Plaintiff was injured after a hard landing on an old style see-saw in a public playground. Plaintiff sued Town of Cheshire for negligent inspection and maintenance as well as failure to provide fall protection beneath the see-saw. Plaintiff also sued for a failure to comply with Consumer Product Safety Commission Guidelines. Defense raised governmental immunity as a defense arguing that inspection and maintenance responsibilities involve discretionary acts; and that the Consumer Products Safety Commission guidelines are not mandatory, but are recommendations only. The trial court granted summary judgment in favor of the Town, and the Connecticut Appellate Court affirmed the decision of the trial court. Arrigoni v. Town of Durham, 629 Fed. Appx. 23 (2d. cir. 2015; cert. denied, 136 S.Ct. 1409 (2016): Plaintiff appealed a jury verdict in favor of the Town of Durham, on a civil rights claim,, after Town land use commissions denied Plaintiff development permits on its property. Plaintiff had claimed in excess of $2M in economic losses. Plaintiff argued that the Trial Court should not have dismissed Plaintiffs unconstitutional takings claim pre-trial as being unripe, and also that the Trial court erred in not allowing evidence of additional comparators to bolster Plaintiffs equal protection claim before the jury. The Court of appeals upheld the decision of the trial court and the jury’s verdict in favor of the Town of Durham. The U. S. Supreme Court has denied the Plaintiff’s Petition for Writ of Certiorari. Bouchard v. Town of Deep River, 155 Conn. App. 490(2015): Plaintiff appealed a summary judgment granted by the trial court on the basis of governmental immunity. Plaintiff has been disposing of recyclables at a local transfer station and accidentally fell into the receptacle, resulting in personal injuries. The Town raised the defense of governmental immunity, based on its discretion in operating the transfer station. The Connecticut Appellate court affirmed that grant of immunity by the trial court, noting specifically that mandatory provisions in OSHA regulations cannot be cited as grounds for a duty owed to the Plaintiff, who was not a Town employee, given that OSHA is a workplace safety regulation designed to protect employees from harm. Harris v. O’Hare, 770 F.3d 224 (2d Ci. 2014): Plaintiff appealed a jury verdict in favor of 2 city of Hartford police detectives who had entered Plaintiffs property after receiving a tip from a gang member that illegal guns were in an abandoned vehicle in the rear yard. The jury returned a verdict for the defendants, finding that the entry into the Plaintiffs rear yard was justified by probable cause and exigent circumstances. Plaintiff appealed, asserting that the jury should not have been charged on the exigent circumstances exception to the warrant requirement. The Court of Appeals agreed, and reversed the verdict in favor of the detectives. The Defendants have petitioned the U.S. Supreme court to hear the case. Pines v. Bailey, 563 Fed. Appx. 814 (2d Cir. 2014): Pines was arrested by warrant after Enfield Police officers, while responding to a domestic call, found a loaded gun in an area accessible to Pines children. Pines sued for civil rights violation, claiming his arrest was unlawful because the Defendant filed an improper affidavit in support of the arrest warrant by (1) leaving out the fact that Pines told the officers that he planned to remove the gun from the home but the domestic dispute with his wife ensued, and he was unable to do so; and (2) by including a statement attributable to Pines that the gun was loaded. The District Court denied the defendants Summary Judgment motion, finding that it was up to the jury to determine whether the omitted information would have made a difference in the ultimate decision to issue the warrant. On appeal the 2d Circuit Court of Appeals reversed the District court and ordered that judgment enter for the Defendant on the wrongful arrest claim. The Court of Appeals noted, noted, Contrary to the district court’s finding, including in the affidavit Pines statement that he intended to retrieve his pistol and omitting the erroneous assertion that Pines stated that the pistol was loaded would not have altered this analysis. At a minimum, the corrected affidavit would still support the reasonable inference that Pines left a loaded pistol accessible to his children before he purportedly attempted to retrieve it, permitting Bailey and a reasonable magistrate to conclude that probable cause existed to initiate a prosecution for reckless endangerment. C&H Management v. Town of Shelton, 140 conn. App. 608,(2013): Plaintiff filed administrative appeal of the denial of development permits from Town land use commissions. Plaintiff was awarded permits on appeal and then sought to sue Town for money damages. Town asserted that Plaintiff was barred by res judicata, given that the money damages claims could have been brought at the same time the denial of permits was appealed. Trial Court denied Towns summary judgment motion, but the Appellate Court reversed, holding that res judicata did in fact bar the suit against the Town. However, because the original administrative appeal was not brought against the Town Engineer as an individual, Plaintiff was able to proceed with an individual suit for damages. Lost Trail v. Weston, 140 Conn. App. 136 (2013). Plaintiff owned land in the Town of Weston, on which he intended to divide into 4 lots and build houses. A town official advised plaintiff he believed the Plaintiff needed to secure permits from the Weston Zoning Commission, as his plan to build 4 houses constituted a subdivision. Plaintiff refused to appear before the Zoning Commission, and instead brought state and federal claims against the Town. The Town argued that the plaintiff had failed to exhaust administrative remedies by failing to appear before the zoning commission for an up or down vote on whether its proposed development was a subdivision and, thus, the plaintiffs state and federal claims were unripe. The plaintiff argued that he was so sure he did not need subdivision approval that he should be excused from having to have appeared before the Commission. The trial court dismissed all claims based on failure to exhaust/ripeness, and the Appellate Court has now affirmed the dismissal. The Appellate Court noted that no matter how sure the Plaintiff was that what he was doing was not a subdivision, he still had to go to the commission for the development of a record and an up or down vote. Himmelstein v. Bernard, 139 Conn. App. 446 (2012). This suit was a spin off from the Himmelstein v. Windsor suit cited below. Plaintiff Himmelstein was injured when he struck, while riding his bicycle, a radar trailer put onto State Rte. 159 by the Windsor Police Department. The Plaintiff had summary judgment entered against it in Himmelstein v. Windsor, a defective highway claim, because the plaintiffs accident occurred on a state road and the Town of Windsor was not the party bound to keep the road in repair it mattered not that the Town is the party who created the defect by placing the radar trailer on the State route. Plaintiff then tried to bring a separate nuisance claim against Town of Windsor employee Bernard, for creating the dangerous condition. The defense argued that the inability to bring a nuisance claim in connection with the plaintiff’s injury on a state road was already decided in Himmelstein v. Windsor, so the matter was res judicata. The trial court disagreed, and was prepared to allow the case to go to trial. The defense filed an immediate appeal of the denial of res judicata, and the appellate Court has now reversed the trial court and entered judgment in favor of the Town. Fromer v. Town of Windsor, 472 Fed,. App. 40 (2d Cir. 2012): The plaintiff was an appointed Commissioner who was removed from the Windsor Inland Wetlands and Watercourses Commission for disruptive behavior. Plaintiff claimed he had a First Amendment right to speak out on matters of public concern and his disruptive actions during IWWC meetings, thus, were protected. U. S. District Judge Janet Hall disagreed and granted summary judgment as to all claims against the Town and its public officials. The U.S. Court of Appeals for the 2d Circuit heard Fromer’s appeal and rejected all claims, thereby affirming the judgment in favor of the Town and its officials. Wisniewski v. Town of Darien, 135 Conn. App. 364 (2012): The plaintiff was struck by a falling tree while operating his motor vehicle. Plaintiff sued the Town and its tree warden. The tree warden testified at trial he had a mandatory, albeit unwritten, policy to always respond to complaints about trees and make an inspection. The tree had been the subject of numerous complaints over the years. At trial the jury found no inspections had been made and awarded damages to the plaintiff. On appeal the Connecticut Appellate Court found that the unwritten mandatory policy of always making an inspection in response to complaints was sufficient to defeat the Tree Wardens discretionary act immunity, and affirmed the judgment in favor of the Plaintiff. The Town of Darien has asked the Connecticut Supreme Court to hear its appeal and reverse the decision of the trial court. Rettig v. Town of Woodbridge et al. Rettig v. Town of Woodbridge et al., 304 Conn. 462 (2012): Plaintiff Rettig was the Animal Control officer for the District Animal Control formed by the Towns of Woodbridge, Bethany, Orange and Prospect. Rettig suffered a serious injury while on duty and filed for Workers Compensation against her employer, the District Animal Control. She also sought to file separate personal injury claims against the towns of Woodbridge, Bethany, Prospect and Orange. The Towns asserted that, in addition to the District Animal Control, they were also Rettig’s employer — which barred her tort claim, as an employee’s exclusive remedy for an injury occurring on the job is that provided by the Workers Compensation Act. The trial court agreed, and entered summary judgment. Attorney Gerarde defended the appeal for the towns of Woodbridge and Bethany before the Connecticut Supreme Court, which affirmed in a unanimous opinion. Himmelstein v. Town of Windsor, 304 Conn 298 (2012): In Himmelstein, the Town of Windsor put a radar trailer in the travel path of State Rte 159, and a boy on a bicycle struck it, causing serious head injuries. The Trial Court granted summary judgment in favor of the Town, finding that it was the State of Connecticuts duty to keep Rte 159 safe, even though the Town of Windsor created the allegedly hazardous condition. Plaintiff appealed, and the Connecticut Supreme Court affirmed the granting of summary judgment in favor of the Town. The decision in Himmelstein v. Town of Windsor establishes the legal framework for cases involving injuries on state routes that run through our cities and towns. Doninger v. Niehoff, 642 F.3d. 334 (2d Cir 2011): This decision marked the end of the litigation described below in Doninger v. Niehoff, 527 F.3d 41 (2d Cir. 2008). In the current decision the Court of Appeals held that the individual defendants, Karissa Niehoff and Paula Schwartz were entitled to qualified immunity as to both of Avery Doningers First Amendment claims: 1) that she was retaliated against for her blog posting criticizing the school administration; and 2) that the defendants conduct stopped her from wearing a t-shirt that read R.I.P. Democracy into the student election assembly at Lewis Mills High School. Goldberg v. Town of Glastonbury, 2011 WL 6157016, (2d Cir. 2011): Plaintiff was arrested for Breach of the Peace, when he entered Chilis Restaurant with a fully exposed handgun. Plaintiff had a valid permit to carry the handgun, but the restaurant manager was alarmed and called the Glastonbury Police Department. The manager also moved customers and staff away from the Plaintiffs location in the restaurant. The Glastonbury Police arrested the Plaintiff for Breach of Peace, based on his recklessly creating annoyance and alarm in the restaurant. Plaintiff sued claiming the Police lacked probable cause for his arrest. The defendant police officers won summary judgment in the United States District Court; and the United States Court of Appeals for the Second Circuit affirmed the summary judgment in favor of the Glastonbury officers. VIP v. Town of Berlin, 593 F.3d 179 (2d Cir. 2010): Plaintiff adult book/video store won a preliminary injunction against the Town of Berlin based on claim that town’s definition of an adult store was unconstitutionally vague. Court of Appeals reversed and dissolved the injunction. Neighborhood Builders v. Town of Madison, 294 Conn. 651 (2010): Trial court certified a class action against the Town in response to the Towns changing its building permit fee structure. The Town appealed the granting of class certification to the Connecticut Supreme Court, which affirmed the granting of class certification. Himmelstein v. Town of Windsor, 116 Conn App. 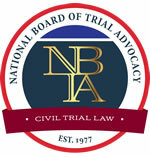 28 (2009): Plaintiff was injured when a bicycle he was riding struck a radar trailer parked on the side of Conn. Rte. 159. The plaintiff sued the Town under the defective highway act, as the Towns Police Department placed the trailer on the roadway. The Town won summary judgment, given the State of Connecticut was the party bound to keep the State Highway (Rte. 159) in repair, even though the Town created the alleged defect. The summary judgment in favor of the Town was affirmed by the Connecticut Appellate Court. The Connecticut Supreme Court has granted certification. Aczel v. Labonia (Danbury Police Dept. ), 584 F.3d 52 (2d Cir. 2009): Plaintiff sued Danbury police officer in U.S. District Court for wrongful arrest, excessive force, and several state law claims. Jury rendered defendants verdict on all claims except excessive force, and deadlocked on excessive force claim. Court thereafter granted judgment in favor of the defendant on the excessive force claim, and plaintiff appealed to the U.S. Court of Appeals for the 2d circuit, which affirmed the judgment in favor of the defendant. Doninger v. Niehoff (Regional School District 10), 527 F.3d 41, 233 Ed. Law Rep. 30, 35 A.L.R.6th 703, (2d Cir. 2008): Seminal student speech case in 2d Circuit. Plaintiff brought First Amendment claim against School District after being disciplined in response to off-campus derogatory remarks about the School Superintendent. Plaintiff sought preliminary injunction against enforcement of the discipline, which was denied by the U.S. District Court after evidentiary hearing. On appeal, the United States Court of Appeals for the Second Circuit affirmed the denial of the preliminary injunction, holding that students can be disciplined for off campus speech that is likely to reach campus and cause disruption of the educational environment. Aczel v. Labonia, 92 Fed. Appx. 17 (2d Cir, 2004): Fact issues regarding the actions by Plaintiff that justified the use of force by the Danbury PD precluded a finding of summary judgment for the defendant officers. After being sent back of trial, the jury returned a verdict for the defendant officers. Alexander v. Town of Vernon, 101 Conn. App. 477, 923 A.2d 748 (2007): This suit resulted from a murder-suicide perpetrated by an estranged husband. The former wife’s estate sued the Vernon Police Department claiming failure to protect the wife, and to prevent her murder. Trial court granted summary judgment based on governmental immunity, and the Connecticut Appellate Court affirmed the judgment in favor of the defendants. ATC Partnership v. Town of Windham, 251 Conn 957 (1999): Following condemnation of his property Plaintiff filed a claim for substantive due process violation, prior to pursuing available state law remedies. The claims were stricken by the trial court as unripe, and the Supreme Court affirmed that following a condemnation state procedures just compensation must be followed to conclusion before a federal claim will be ripe. Brown v. Town of East Haddam, 213 F.3d 625 (2d Cir 2000): Plaintiff claimed a violation of her right to family integrity when police officers made a report of suspected child abuse. Trial court granted the Defendant officer’s motion to dismiss and Court of Appeals affirmed, holding that there is no due process right to be free from child abuse investigation and the bruises observed by the police triggered the need to make a report to DCF. Cowan v. Breen, 352 F. 3d. 756(2d Cir 2003): Police officer who fired into a moving vehicle committed a 4th Amendment seizure, and was not entitled to qualified immunity due to an issue of fact as to the officers perception of serious physical injury. Dreher v. Joseph, 60 Conn app. 257 (2000): In a defective highway action the abutting landowner to a public sidewalk has no obligation to keep the sidewalk in repair. The municipality is party bound to keep the sidewalk in repair. Estate of Aselton v. Town of East Hartford, 277 Conn. 120, 131, 890 A.2d 1250 (2006): Aselton was an East Hartford Police officer killed in the line of duty. His estate sued the Town and police dispatchers, claiming Aselton was not provided with sufficient information that would have enabled him to avoid an ambush. Trial court granted summary judgment on all federal and state claims, and the Connecticut Supreme Court affirmed judgment for the defendants. Gaudino v. Town of East Hartford, 87 Conn. App. 353 (2005): Plaintiff cannot bring a direct claim against a municipality under CGS 7-465 without also suing an individual municipal employee. Summary Judgement granted by the trial court and affirmed by the Appellate Court. Granite State v. Town of Orange, 305 F.3d 450 (2d Cir. 2002): Town’s revision of sign regulations to comply with First Amendment requirements rendered Plaintiff’s injunction action moot. Grignano v. City of Milford, 106 Conn.App. 648, 653-54, 943 A.2d 507 (2008): Plaintiff sued City of Milford after falling down on outdoor boat landing.Court granted City’s motion for summary judgment based on governmental immunity, and plaintiff appealed, claiming City had mandatory obligation to keep boat landing safe. Connecticut Appellate Court affirmed the summary judgment in favor of the City based on governmental immunity. Hoyer v. DiCocco (Wallingford PD), 224 Fed.Appx. 103 (2d Cir. 2007): Plaintiff was seized by Wallingford Police Officer and committed for psychiatric evaluation. Plaintiff sued after hospital determined she would not be held overnight. Trial court denied defendant’s summary judgment motion seeking qualified immunity and defendant took an interlocutory appeal. U.S. Court of Appeals reversed the trial court and entered judgment for the defendant based on qualified immunity. Loricco v. Rescigno, 89 Fed Appx. 300 (2d Cir 2004): North Haven police officers broke into a locked service station to retrieve a citizens belongings and owner sued for false arrest. The officers asserted a reasonable belief that no warrant was required to make the entry given that they were assisting citizens and not investigating crime. Trial court denied summary judgment based on qualified immunity finding an issue of fact existed as to the circumstances leading to the entry into the locked building. The Court of Appeals affirmed, holding that an issue of fact precludes an interlocutory appeal of a denial of qualified immunity. Malloy v. Town of Colchester, 85 Conn App. 627 (2004): Plaintiff was in a vehicle that struck a wandering horse and sued the Town animal control officer, who had been notified about wandering violations on prior occasions. Trial Court directed a verdict after trial in favor of the Town, and the Appellate Court affirmed, holding that the actions or inactions of the animal control officer in not citing the horse’s owner for allowing the horse to wander were not the proximate cause of the plaintiff’s injury. Menon v. Frinton, 31 Fed. Appx. 735 (2d. Cir 2002): Plaintiff claimed Danbury police officer failed to conduct a proper investigation of a car accident and thereby denied her access to the courts, in violation of the first Amendment. Court granted summary judgment based on a finding that the Officer’s investigation lead to probable cause it take the enforcement action he took. Court of Appeals affirmed. Oygard v. Town of Coventry, 166 F.3d 1201 (2d Cir 1998): Summary judgment granted in favor of Town zoning officials. Court of appeals affirmed Plaintiffs had no constitutional right to enforcement of zoning regulations against a neighbor. Pajor v. Town of Wallingford, 47 Conn. App 365 (1997): The notice required in a defective highway claim is notice of the specific defect causing injury and not notice of conditions likely to produce that defect. Prescott v. City of Meriden, 80 Conn. App. 697 (2003): Plaintiff was injured in stands while watching his son play in a high school football claim. Summary Judgment entered for the City of Meriden based on governmental immunity as the inspection and maintenance of the stands were discretionary and the Plaintiff was not an identifiable victim subject to imminent harm. Roman v. City of Bristol, 101 Conn.App. 491, 922 A.2d 310, (2007): City of Bristol sought indemnification from a contractee pursuant to a hold harmless agreement. Trial court entered summary judgment against the City and City appealed. Connecticut Appellate Court reversed trial court and reinstated Citys claim for indemnification. Tryon v. North Branford, 58 Conn App. 702 (2000): Appellate Court held that a municipality’s governmental immunity trumps the strict liability of the Connecticut dog bite statute. Tsombanidis v. West Haven Fire District, 352 F.3d 565 (2d Cir. 2003): Fair housing act plaintiffs could not seek a relaxing of fire code as a reasonable accommodation of their disability. Tuccio v. Town of Ridgefield, 589 F.3d 538 (2d. Cir 2009): Following trial in United States District Court, Court entered judgment for the defendant in a First Amendment retaliation claim. Plaintiff appealed to the U.S. Court of Appeals, and Attorney Gerarde was retained to defend the appeal. The Court of Appeals for the 2d circuit affirmed the judgment in favor of the defendants. Walczyk v. Rio, 496 F.3d 139, 157 (2d Cir.2007): Plaintiff Thomas Walczyk sued Farmington Police Department for false arrest and illegal search. The District Court denied summary judgment motion based on qualified immunity. The defendants took an interlocutory appeal, and the U. S. Court of Appeals reversed, entering judgment in favor of the Farmington Police on all claims by Thomas Walczyk. An ancillary claim brought by a relative was thereafter settled. 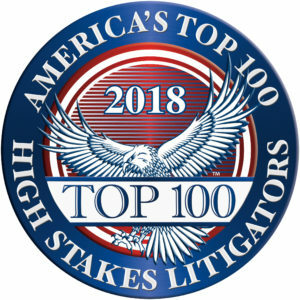 Attorney Gerarde has received Martindale Hubbell’s highest rating possible of AV Preeminent. He is Board Certified as a civil trial specialist by the National Board of Trial Advocacy and is a member of the American Board of Trial Advocates. 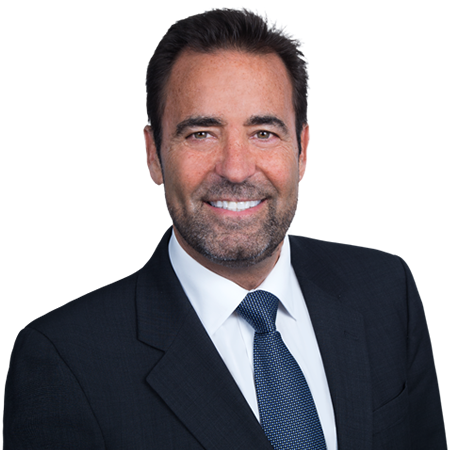 He has been selected to Connecticut SuperLawyers and New England SuperLawyers each year since the listings first began, and has been recognized by the American Registry as being in the top 1% of Professionals in the United States. He has served as a Special Master to the United States District Court.